The Stage Against the Machine at the Vale Earth Fair will host headliners The Algorithm, who have just won the Golden God for Best Underground Act at this year’s Metal Hammer Awards, fresh from a triumphant set at last weekend’s Download Festival. “Following the announcement of main stage headliners Buzzcocks, it’s great to get such a prestigious new act headlining the outside stage at the Vale Earth Fair as well” said Vale Earth Fair Collective member Simon Rivers. The brainchild of talented French producer Rémi Gallego, THE ALGORITHM infuses modern metal breakdowns with a menagerie of electronic subgenres such as IDM, chiptune and breakcore to concoct his own potent style of fiercely heavy music. Imagine a mash up of electronica driven breakdowns, djenty guitars, gut wrenching sub wobs and glitchy melodies all working together to fluidly pummel your head into the future. 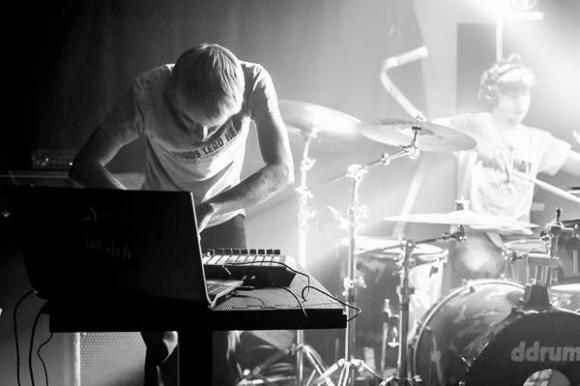 After a successful premier of their live show at last year’s Euroblast festival, The Algorithm have gone on to destroy venue and festival stages across the globe, perfecting their trademark sound along the way. Armed with Mike Malyan (Monuments) on the drums, the live experience is quite honestly like nothing the metal or electronica worlds have ever experienced. Continuing the international flavour for the Stage Against the Machine, the line up will also feature New York indie band Jonny Lives! and The Recks who travel all the way from Sark. Jonny Lives! return to the island following a sell out show at the Fermain Tavern last year., Jonny Lives! have shared the stage with the likes of Meatloaf, Blondie, Patti Smith, The Strokes, The Killers, Sonic Youth and the Kaiser Chiefs among others, solidifying their place in the spotlight. They pull no punches on their recent LP ‘Revolution for Free’, speaking out for peace and the environment, while never losing sight of having fun, crafting sing-along melodies, and writing pop songs that make the listener want to smile. Front man Jonny Dubowsky also brings the Rock n Renew Foundation to the Vale Earth Fair. Rock ‘n Renew is a non-profit organisation that helps musicians, students, and their communities live and act in sustainable ways. They have brought the message of sustainability to thousands through rock shows, festivals, lectures, and installations, which fits in perfectly with the ethos of the Vale Earth Fair. They even run their tour van on bio-diesel. Other acts performing on the Stage Against the Machine include Of Empires, Surfin’ Birds, Any Given Sunday, Brunt, Sugar Slam, and Dave.